Our mission as urban educators is to prepare professionally competent and caring technical educators for a world of technology and diversity. Welcome to the website of the Department of Career and Technology Teacher Education at New York City College of Technology (City Tech). Our Department offers two specialized, baccalaureate-level, teacher education programs, namely, Career and Technical Education (CTE) and Technology Education. These programs are for men and women who are interested in teaching technology-related and career subjects in the public schools. The two programs are unique to City Tech because they are the only such programs for the preparation of career and technical education (CTE) and technology education teachers within the City University of New York system. They are also the only such programs in a public university south of Albany. The Technology Teacher Education program prepares individuals to obtain the bachelor’s degree as well as the New York State certification as technology teachers in kindergarten through 12th grade. In addition, a wide range of courses in technology education is taught at the senior high school level, including computer applications and networks, robotics, communication systems, electronics systems, graphic communication, principles of engineering, and design and drafting, to name just a few. The technology teacher education program is designed to provide prospective teachers with strong academic, pedagogical, and laboratory-based experiences to enhance their technology teaching performance in grades K through 12. Integral to the technology teacher education curriculum are courses and experiences designed to enable the technology teacher to use various technologies, including computers, as instructional tools. The Career and Technical Teacher Education program provides a career development approach to the preparation of career and technical education (CTE) subject teachers. The program prepares teachers for the Initial and Professional Certificates valid for teaching specific CTE subjects within the career fields of family and consumer sciences, health, technical, and the trades in grades 7 through 12. 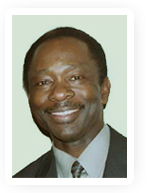 Several graduates of the program occupy prominent administrative and supervisory positions both in the NYC public school system and in business and industrial training programs. By choosing to enroll in one of our two teacher education programs, you will be making a decision that will open for you the doors to a great career in education. You will also be making a decision that will influence lives of thousands young people in New York City and beyond. We hope that the information we provide through this website will help you understand the opportunities open to you as you embark on your journey to a successful career as an educator. As Chairperson, it is my responsibility to do my very best to make the educational experiences of our teacher education students both pleasant and professionally rewarding. 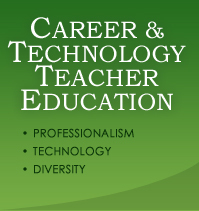 On behalf of our teacher education family of current students and dedicated faculty and staff, I welcome you to our website and urge you to let us know how we can help you in your decision to become a technology teacher or a CTE subject teacher.